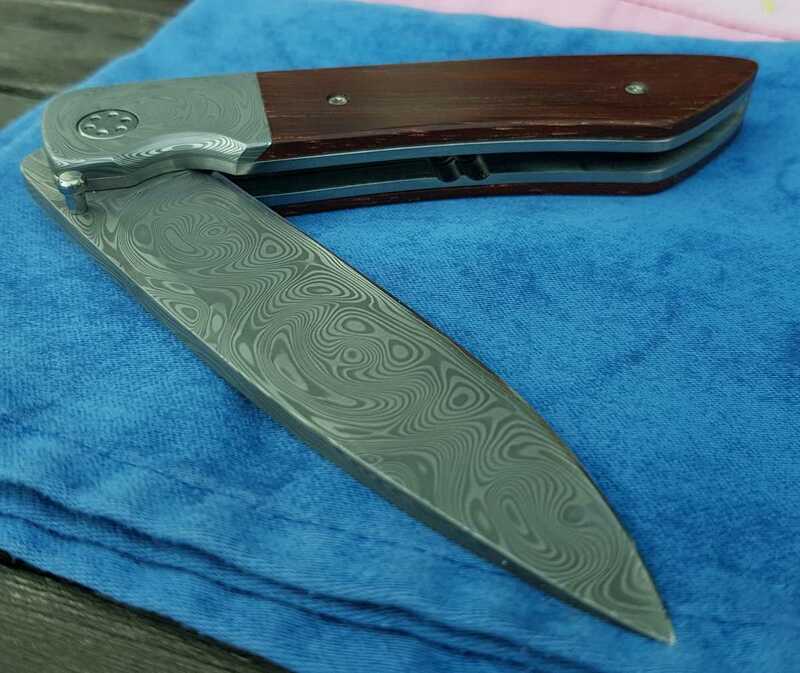 Big Hunting-Folder with Damasteel-Handle slabs and second, exchangeable blade from M390. Handlewood is very old tropical hardwood. 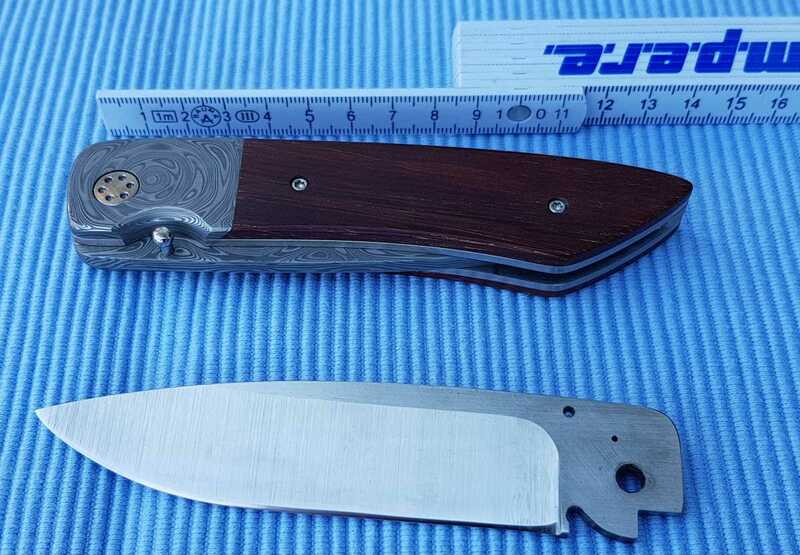 Blade length is app. 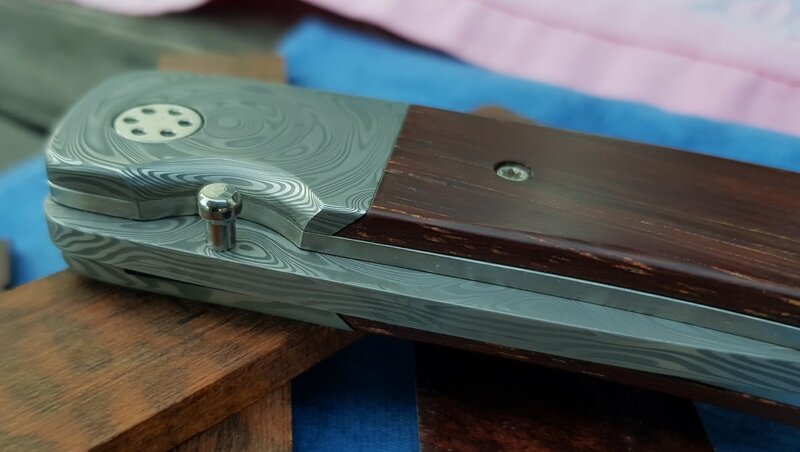 107mm; 4mm thick; blade pattern: big rose. Linerlock with 2.3mm Titanium liners. Very sturdy construction.